I graduated from UW-River Falls with a bachelor’s degree in Health and Human Performance and a minor in Nutrition in December 2007. Since then I have been working in the health and fitness industry and currently run my own business, Zahler Training and Nutrition, out of Los Campeones Gym in Minneapolis. Fitness is something I am truly passionate about. Some might say obsessed. In my spare time you can find me researching and learning new concepts and methods about exercise and nutrition. This is an asset to not only myself but also my clients. I know a lot, but I’m smart enough to know that I don’t know everything.  I specialize in training for muscular hypertrophy (building muscle). I do this by teaching clients how to move their bodies correctly to target specific muscles. This is execution- based training mixed with good old-fashioned blood, sweat, and tears. I also specialize as a contest preparation coach for bodybuilding competitions and have put many men and women on stage in all categories. Bodybuilding, men’s physique, figure, bikini, and women’s physique. Training and coaching physique athletes is my favorite part about my job because bodybuilding is something that I love and it is awesome to be able to share that with others. I am so fortunate that I’ve been able to turn my passion into a career. I am married to my beautiful wife Kirsten and am the dog father to two pit bulls Stella and Dorian.